Photos courtesy of the London Classic Car Show. Today I learned there are only three original cars remaining from the filming of the original 1969 The Italian Job movie, and sadly none of them are Minis. It’s really sad that in this year, the 60th anniversary of the original Mini, that no existing copies of the car in it’s most memorable role exist. It’s also the 50th anniversary of the release of the 1969 film The Italian Job, a film with a famous scene where Minis are used to pull off a gold heist with the advantage of their small size. To celebrate that anniversary, the three original cars from the movie will be on display at the London Classic Car Show from Feb. 14 through Feb. 17. Those cars include a red 3.8-liter Jaguar E-Type roadster, a dark blue “Fixed Head Coupe” E-Type, and a 1961 Aston Martin DB4 Convertible. 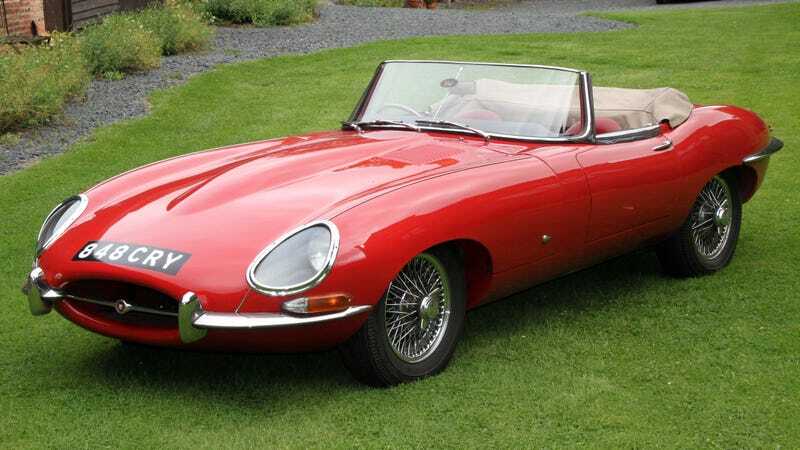 The red E-Type was featured in the movie after model Richard Essame, who was cast in the movie, showed up on set in it. It was bought by production from him for use in the movie. It was once a racing car before being initially sold to Essame in 1962, according to car show organizers. The blue hardtop E-Type sat fairly unloved for 20 years after production before its owner realized it was one of the cars from the movie, according to event organizers. It’s been restored by Tester Engineering to production specification. It may be surprising that the DB4 is one of the remaining cars, as it appeared to be destroyed in a scene onscreen when a bulldozer knocked it over a cliffside. Production instead switched it out for a Lancia Flaminia. The car show will also feature Minis mocked up like the original cars used in the movie, as well as a similar orange Lamborghini Miura, a similar security truck to what was blown up in the movie, and maybe a similar Harrington Legionnaire coach bus, pending its current restoration process to film specifications. The London Classic Car Show will also feature a wide variety of other classics, as well as a program on aerodynamic cars presented by Edd China and a ceremony celebrating Jaguar designer Ian Callum. So if you’re in London that week, it may be worth it to go check this out.